First you will need to look at all of the options that are available to you. In fact, the are 3 essential ways to invest in precious metals. You can choose physical gold bullion in the form of bars, coins, or ingots. There are other investment types which do not involve having to take physical possession of the bullion. These can include gold stocks and gold bullion ETF choices among others. Gold investing can be very profitable when you take the time to learn all the benefits and drawbacks associated with these. To find the best gold investment in your situation first you will need to determine why you are investing. Do you want gold as a hedge against inflation and to preserve wealth or are you looking for gold that you can display and show off while still holding a good investment? 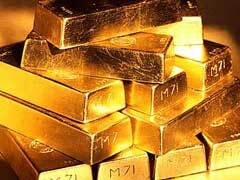 For gold as investment choices to be profitable you need to minimize the markup you pay, and if this is the only consideration then bars may be a fantastic choice for your investing needs. The best gold investment will vary from one investor to the next, depending on many different factors involved. The high gold bullion prices seen in the last few years and hassle that comes with storing physical gold have caused many investors to look for alternative precious metals investment options. The best gold investment options can also include equities of companies that are involved in precious metals mining and prospecting. These shares do not directly track the metal prices but mainly depend on how well companies perform. Stock market investing requires strong analytic skills and your ability to read through financial data and charts. For novice players on the market, exchange traded funds could be a great option for those who do not have enough knowledge but still want to profit from rising precious metals prices. These funds are professionally managed and their diversified portfolio can include an array of mechanisms, including bullion and mining companies’ equities. Right now precious metals in all forms have seen a big increase in value and popularity, but remember that even these investments have risks involved.